At 75th anniversary event, Vanguard founder John Bogle and T. Rowe Prices James Riepe debate ETF regulation; SEC Chief White talks about upcoming rules. 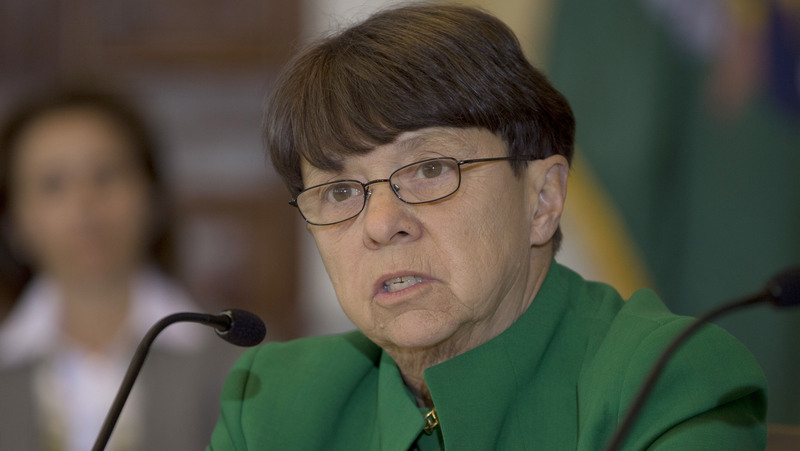 Future regulatory measures that will “keep alive” the promise of the Investment Company Act and the Investment Advisers Act include third-party exams for advisors, a uniform fiduciary rulemaking, transition planning rules for advisors as well as annual stress testing for large investment advisors and funds, Securities and Exchange Commission Chairwoman Mary Jo White said Tuesday. Speaking at the SEC’s event to celebrate the 75th anniversaries of the Investment Adviser and Investment Company Acts at SEC headquarters in Washington, White said that the aforementioned upcoming rules are part of the agency’s “ambitious agenda” to address evolving risks for funds and advisors. White also noted the recently proposed rule to enhance data reporting by investment companies and advisors, as well as the rule proposed on Sept. 22 to require open-end funds to enhance their liquidity risk management. While asset management pioneers as well as former SEC chairmen concurred at the event that the Acts have stood the test of time — with the Investment Company Act helping to spur growth in the $90 trillion fund industry — they nonetheless noted ongoing challenges the agency faces in crafting regulations, namely for exchanged-traded funds. Vanguard founder John Bogle as well as James Riepe, retired vice chairman of Baltimore-based T. Rowe Price, where he is now a senior advisor, differed on their views as to whether ETFs are actually mutual funds. That being said, “We have to think about a new way of regulation; we need it badly — you get regulation only when you deserve it; that’s where we are today.” Former SEC Chairman David Ruder (who served from 1987 to 1989) noted that ETF trading today is performed mostly by institutional investors, not retail ones. “I don’t think the average investor is buying and selling ETFs,” he said. The Commission “needs to be sensitive that this [ETF space] is an institutional market” and needs to be regulated as such.